Not only are we capable of banding melamine and other materials, we laminate products on site. 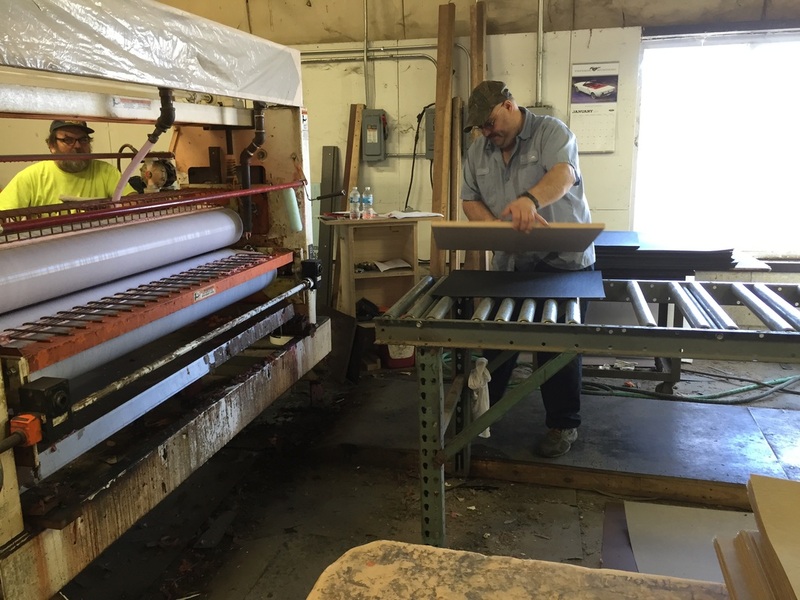 Our plastic room inspects and cuts plastic before our Glue Room tops and presses the lumber product. We have both Cold and Heated presses. We use PVA or Polyvinyl Acetate glue along with numerous backers. An operator places a glue dipped board on backing before placing the laminate top. 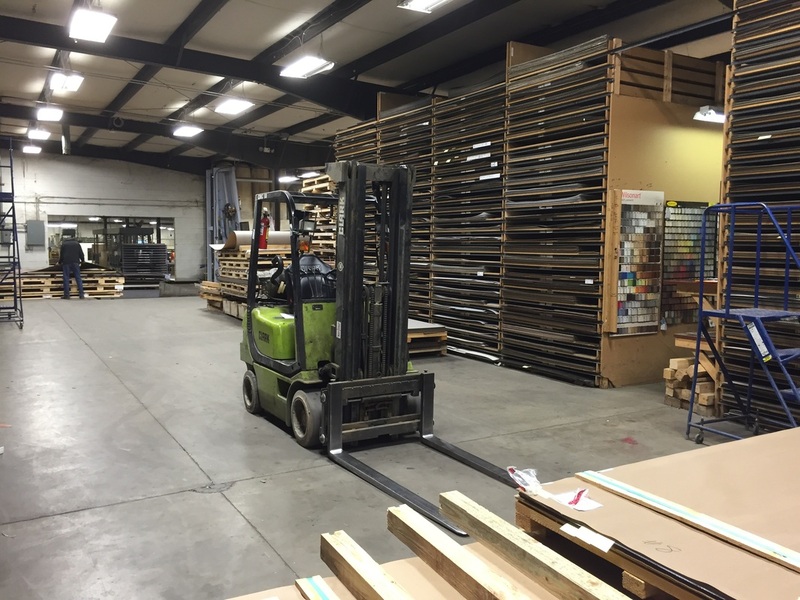 Our Plastic Room allows for numerous plastics for special orders and large quantities.